I believe the seasoned travelers out there will enjoy this photo. I fell over laughing, yep, as a person who regular walks along road in under-developed countries. I do believe, the drivers learn what is fair play. 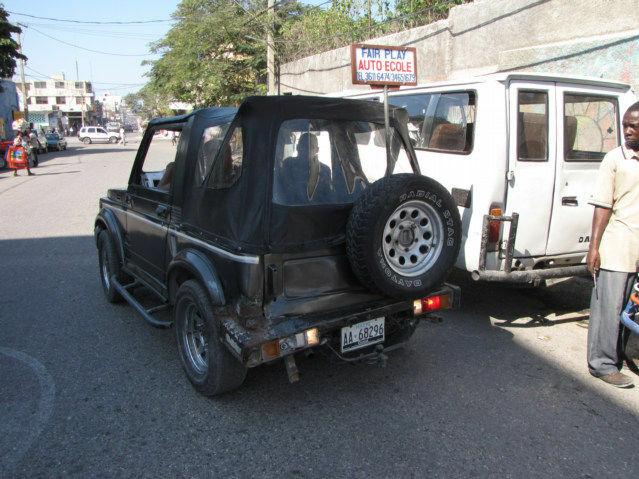 What is fair play for a driver in Haiti? Anything and everything, they will do whatever they want, whenever they want, this country is wide open. I am happy that Haiti has driving schools. I am happy that the Philippines have driving schools. Now if they had police who even minutely cared about the safety of people walking in the streets, it would be progress.